~ by admin on Apr 05, 2011. 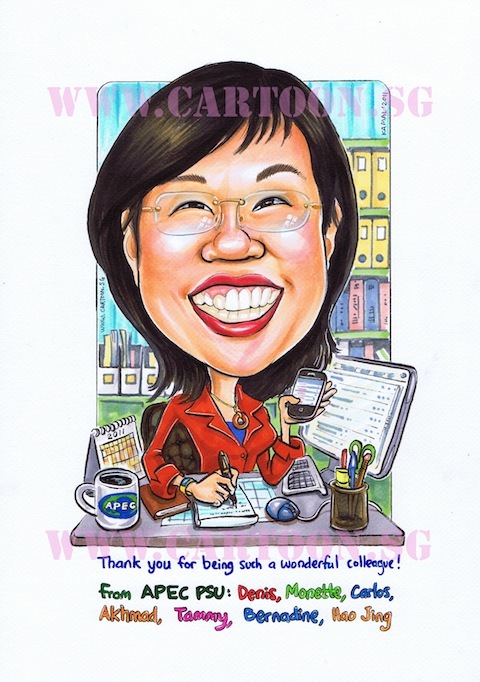 The team at Asia Pacific Economic Cooperation APEC put together a nice gift for their boss. 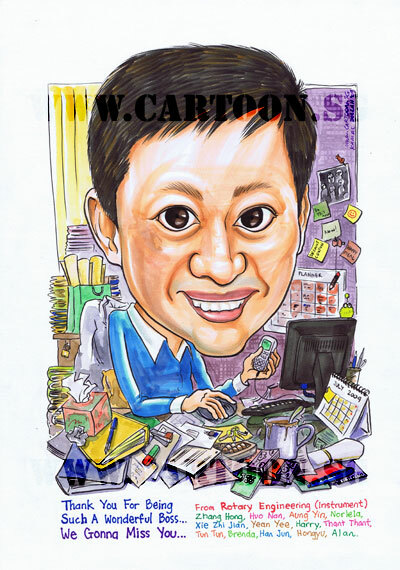 They liked a previous caricature we drew for another customer of a busy boss working behind a messy table however she keeps a neat table yet very busy nevertheless. 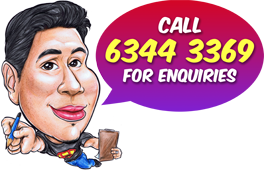 This was a rush job and we rushed it out with frame and delivery 24 hours after receiving their order. Premium charges applied. Might as well put that drawing done in July of 2009 here as it made a very nice contrast to this recent one.